Strawberries are a relatively easy crop to grow and they produce very tasty fruit quickly. 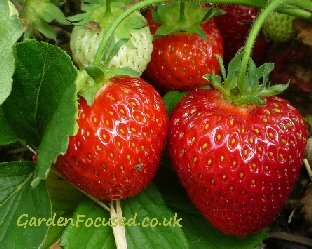 This article will show you how to plant them, ongoing care, propagation, pests and diseases and our strawberry growing calendar. 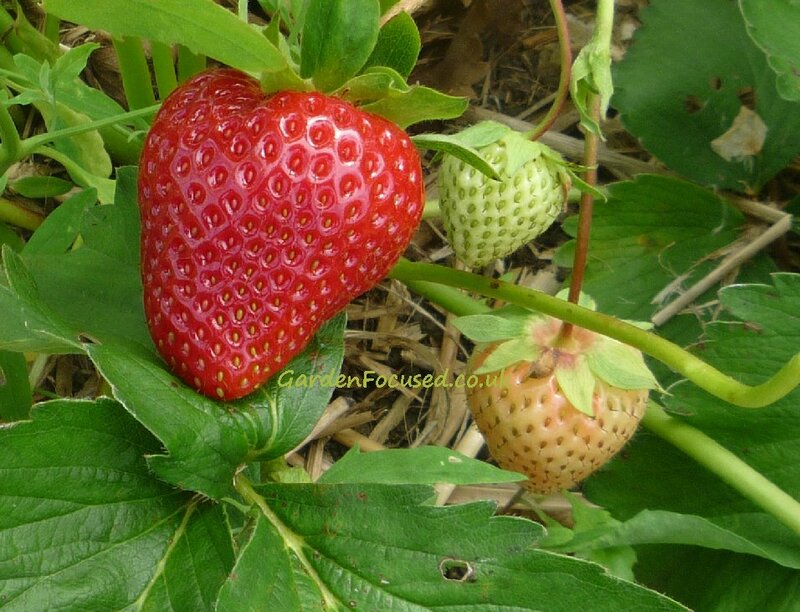 Summer-fruiting strawberries produce fruit from early June to very early August depending on the variety grown. Weather conditions and the climate in your area of the UK also greatly influence when strawberry fruits are produced. Not so many years ago strawberries were supplied as bare-rooted runners or potted plants. They are still the most popular methods today but nowadays misted tip plants are becoming more popular. Another alternative now commonly available is cold-stored runners. 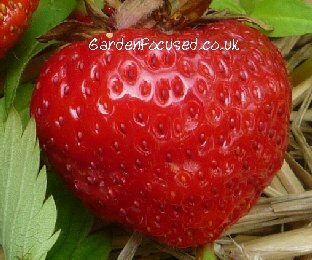 The calendar below gives dates for all four methods and a full explanation of the methods can be found lower down this article in the section entitled "When and Where to Buy Strawberry Plants". WHICH VARIETY OF STRAWBERRY IS BEST? The simple answer to that question is there is no "best" strawberry variety it's a matter of "horses for courses". In other words some varieties taste great, some have good disease resistance, some are large, some are small etc.! We list below commonly available strawberry varieties in the UK with their good and bad points, you can then make the comparison and choose which one is best for you. The varieties are listed in order of their cropping period and within that in alphabetic order. Comments: Stores well and doesn't bruise easily. Our favourite early cropper. Comments: Pick regularly to avoid the fruit softening and taking on a brown tinge. Comments: Withstands rainfall better than most. ANSWER: It's really up to you. On average, if you replace your strawberry plants every three years you should be OK. Maybe you can stretch it to four or even five years. 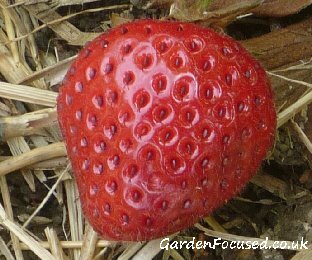 But be aware, if your strawberry plants suffer from disease next year, it may well be the case that you can't plant strawberries in the same area for three years or so without risking a crop failure. QUESTION: I have read the above, but I'm still very confused as I'm an absolute beginner and have no idea how to plant strawberries. I have bought 200 Strawberry "Four Seasons" Seeds and it has arrived in a sealed packet. It is now early August. Should I place in the freezer now for 2 to 4 weeks or plant straight away? Is there any guidance you could point me to please as I didn't see 'four seasons' in the options above. Thanks in advance. 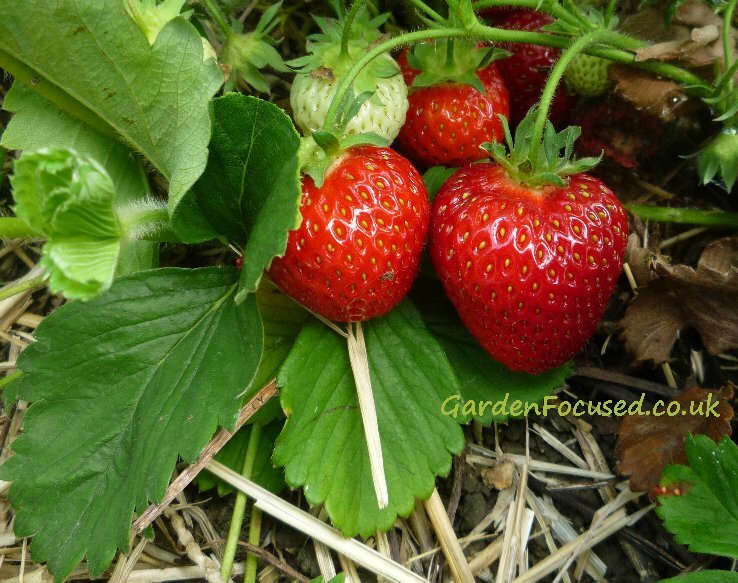 ANSWER: The strawberry article I wrote advises against growing strawberry plants from seed. Germination rates are low, the young plants are tender and prone to frost damage. The fruits you get may not be true to type. For those reasons I have never grown from seed. QUESTION: Hi there, when it says plant runners in September. What does this mean. I am brand new to gardening. ANSWER: Strawberry plants send out stems which lay on the ground, these are called runners. Where the stem has a growing point (node) it will put down roots into the ground. Each of these rooted stem points is an individual strawberry plant which can be grown on. See our page for a detailed explanation with pictures. Strawberry plants can also be bought from garden centres and online. Planting ones you have grown yourself from runners or shop bought ones is exactly the same. 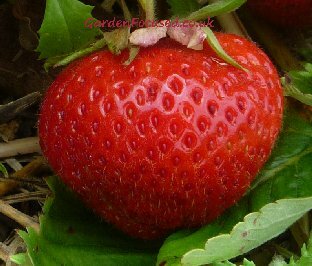 See our page on planting new strawberry plants. QUESTION: I'm taking strawberry runner from plants in polytunnel now, can I plant them straight into grow bags for an outside row next year? ANSWER: Unless you live in some of the coldest parts of the UK, the runners should have time to establish themselves this year. The only problem may be that they are in grow bags which are exposed to the cold and wind. I suspect this won't be a problem because I have done the same thing in Warwickshire with no problems. QUESTION: Do strawberries cross pollinate? ANSWER: As far as I know they do but this is only important if you attempt to grow strawberry plants from seed. The fruits and the runners from a plant will be unaffected by cross-pollination. 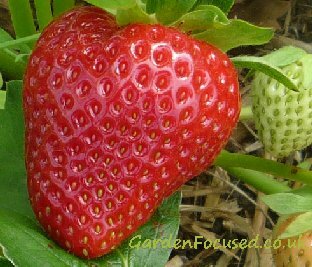 Only the seeds (which are on the outside of the strawberry fruits) will be affected.